When Jack Brenin finds a golden acorn lying in the grass, little does he know that it is the beginning of a thrilling and magical adventure. Just an ordinary boy, Jack has been chosen for a hugely important task, and enters a world he believed only existed in legend. 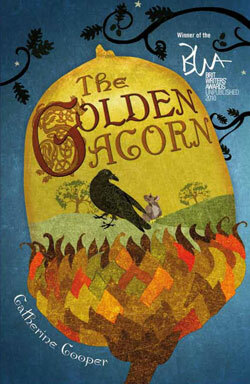 Full of twists and turns, talking ravens and mischievous Spriggans, The Golden Acorn is a hugely entertaining and exciting tale from a very talented new author. Your kids will love it, and so will you! This brilliant story deservedly won the Brit Writers’ Awards 2010 for unpublished writers. Jack’s adventures continue in Glasruhen Gate and Silver Hill.